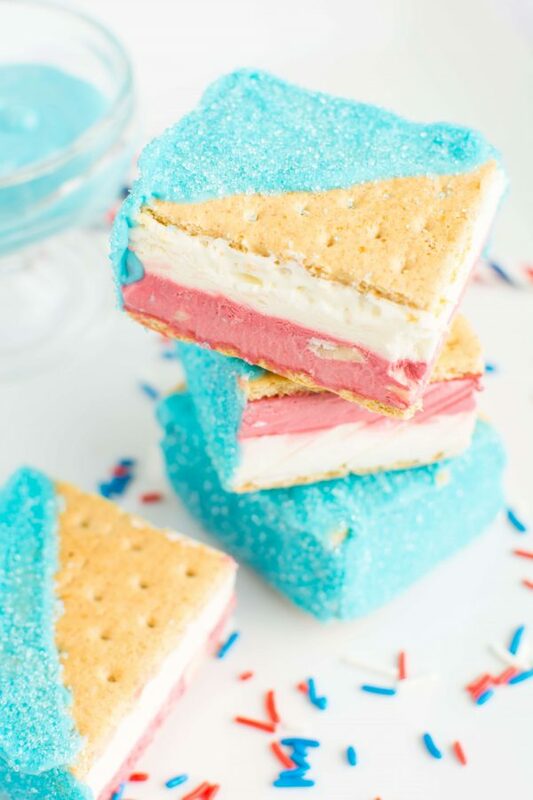 With a layer of no-churn red velvet white chocolate chip ice cream, a layer of cheesecake ice cream, and a fabulously festive blue white chocolate shell, these Red Velvet, White, and Blue Ice Cream Sandwiches are all you need to cool down this Fourth of July! Will Ice Cream Settle My Stomach? Milk, cheese and ice cream are all bad ideas with an upset stomach. They’re hard for your body to digest, in part because they’re high in fat. 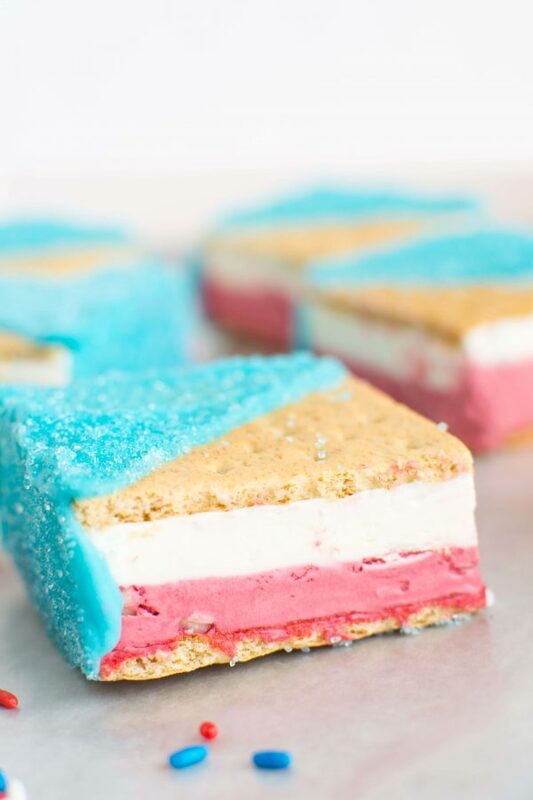 Since it’s been an entire year (WAY too long) since I unveiled my S’more Ice Cream Sandwiches, I decided it was time to create a more patriotic version. 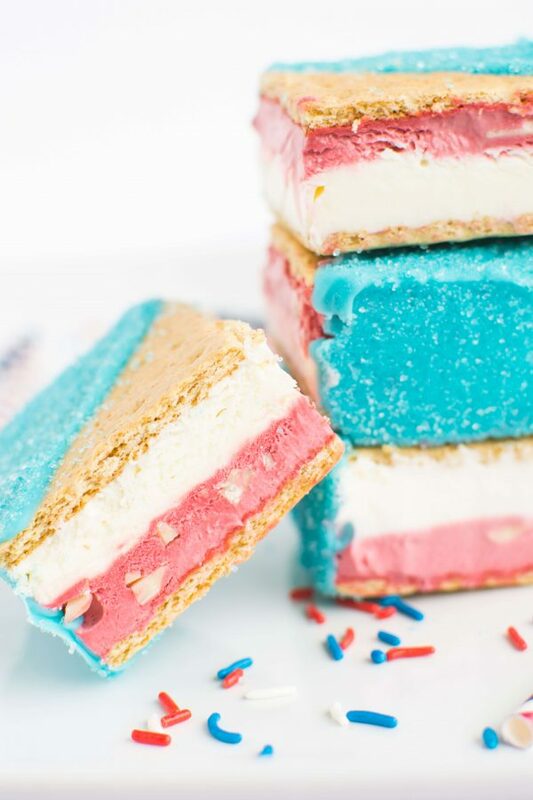 And well, I don’t think you can get more patriotic than these Red Velvet, White, and Blue Ice Cream Sandwiches. Just look at those cute red and white stripes! And guess what, absolutely no ice cream maker required! You see, the red “stripe” is a no-churn red velvet ice cream, made simply by whipping up some heavy cream, sweetened condensed milk, cocoa powder, and a little red dye. I also stirred in some chopped white chocolate because why not? 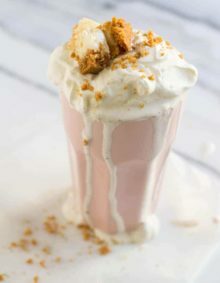 The white “stripe” is a no-churn cheesecake ice cream made with heavy cream, sweetened condensed milk, cream cheese, and vanilla. 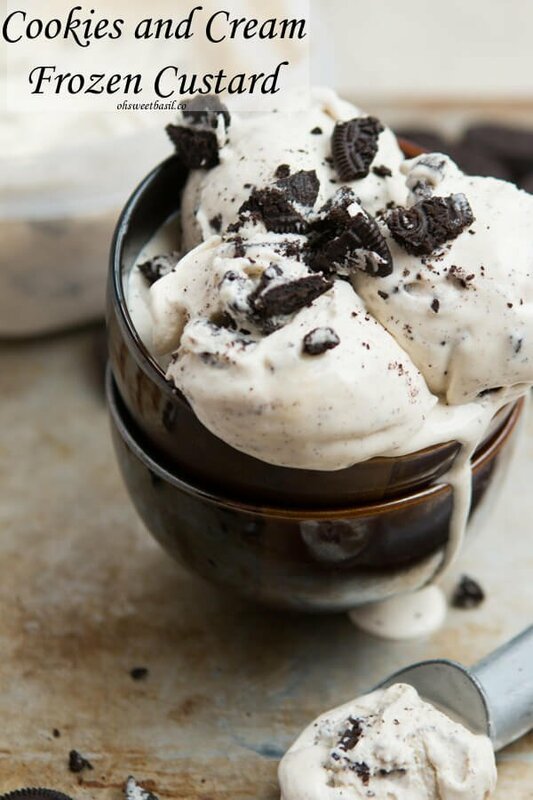 With so few ingredients needed and how easy it is to make at home, you’ll be amazed at how creamy and fluffy this no-churn ice cream is! 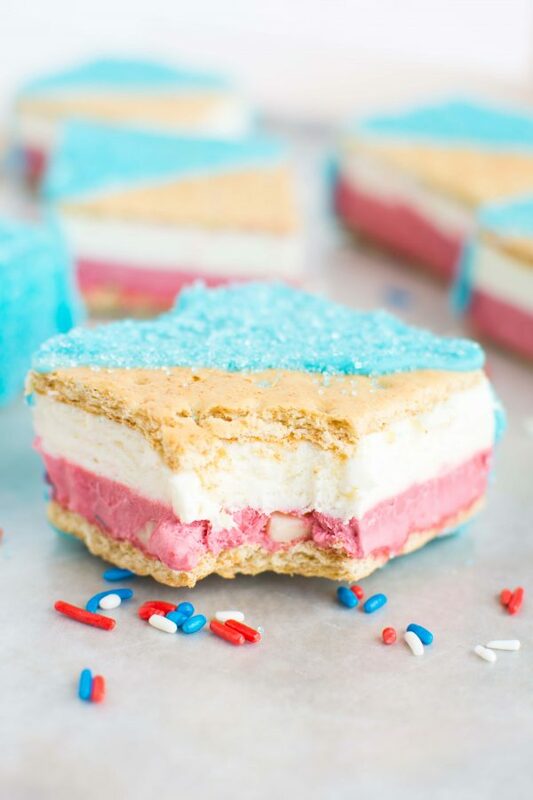 Graham crackers are usually my go-to when it comes to making ice cream sandwiches. Why? Well, I like the fact that they soften a little as they chill. 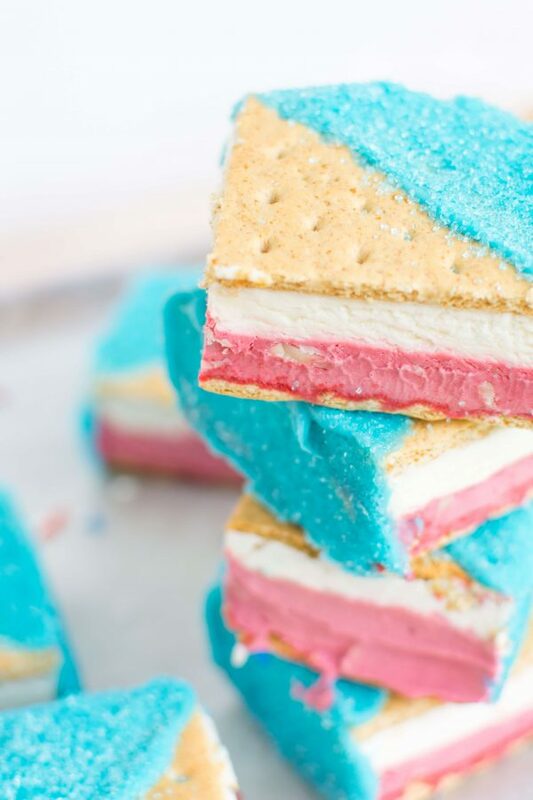 The texture is just like those classic rectangular ice cream sandwiches I used to scarf down every summer. And I don’t know about you, but I’m so not about biting into a rock-hard hockey puck of an ice cream sandwich. 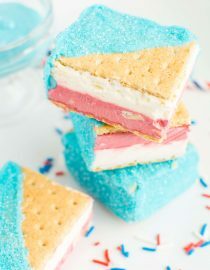 These ice cream sandwiches wouldn’t be complete (nor American) without some kind of blue, which was the perfect excuse to dip them in a silky smooth coating of blue white chocolate. Oh, and for that extra sparkle, I dipped them in some blue sanding sugar. Any sprinkles will do (stars would be perfect! ), but I do love how “spark”ly the sugar crystals made them! Oh, and here’s a tip! Since there’s about an inch of extra space between the edge of the pan and the ice cream sandwiches, I used a ruler along with a few candy bars (Butterfinger has the perfect thickness) as a barrier. 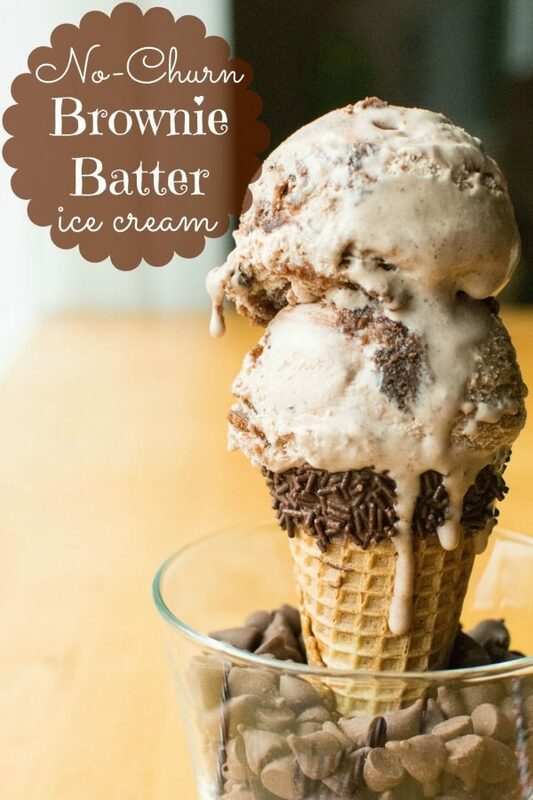 Mind you, it doesn’t have to be a Butterfinger bar–anything will work as long as it can be in the freezer. Happy (early) 4th of July to all of you! It is only safe to refreeze ice cream if it has slightly melted, but has been kept cold. When ice cream has melted, bacteria can grow. Listeria outbreaks can occur in the freezer when ice cream is melted and refrozen. Milk and milk based foods can cause diarrhea in dogs. Milk products may also trigger allergies that could cause rashes and itching. Line a 9×13 inch rectangular dish with plastic wrap, leaving a good amount of overhang on the sides. Break the graham crackers in half and arrange them on the bottom of the pan. 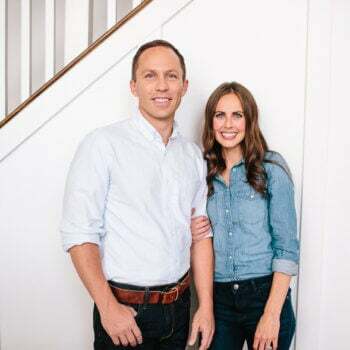 To solve the issue of extra space on the side, use a ruler as a “receding wall” underneath the plastic wrap along with a freezer-safe item that’ll fit behind it. I used five fun-sized Butterfinger chocolate bars. Make the Red Velvet ice cream. In the bowl* of a stand mixer fitted with the whisk attachment, whip the cream until stiff peaks form. Add the sweetened condensed milk, cocoa powder, and red food coloring, and continue beating until fully incorporated. 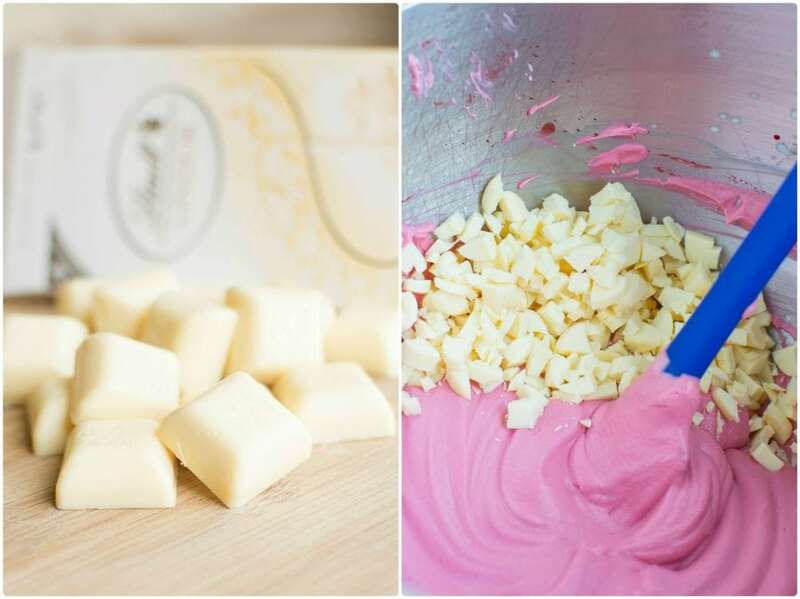 Fold in the white chocolate by hand. 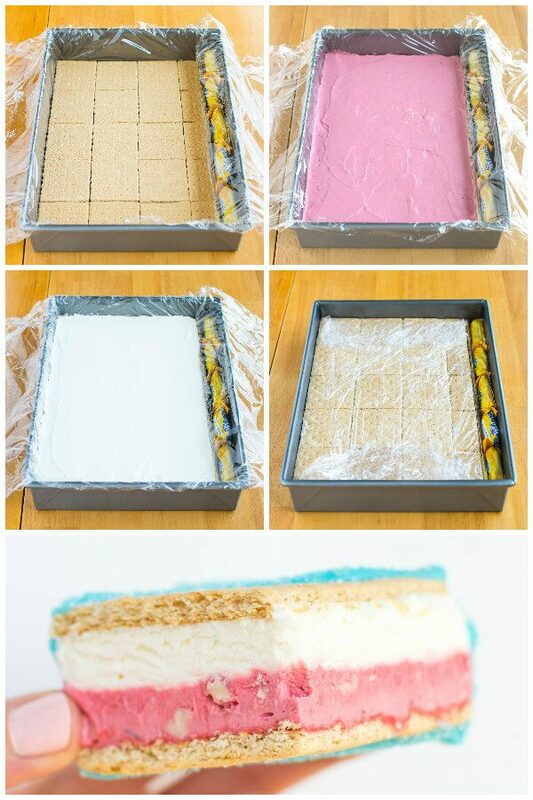 Pour ice cream evenly over graham crackers and smooth out the top. Chill in freezer while working on the cheesecake ice cream. 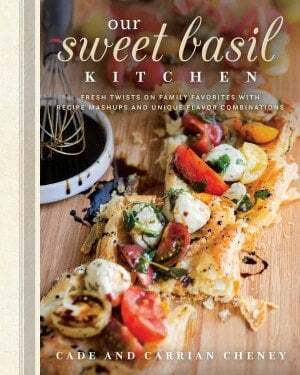 In the bowl of a stand mixer fitted with the whisk attachment, beat together sweetened condensed milk, cream cheese, and vanilla until smooth. Add in heavy cream and beat on high until mixture is light and fluffy. 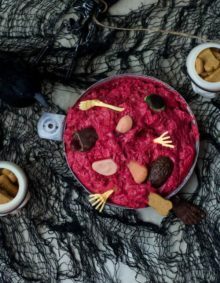 Pour ice cream over red velvet layer and arrange the remaining graham crackers on top. 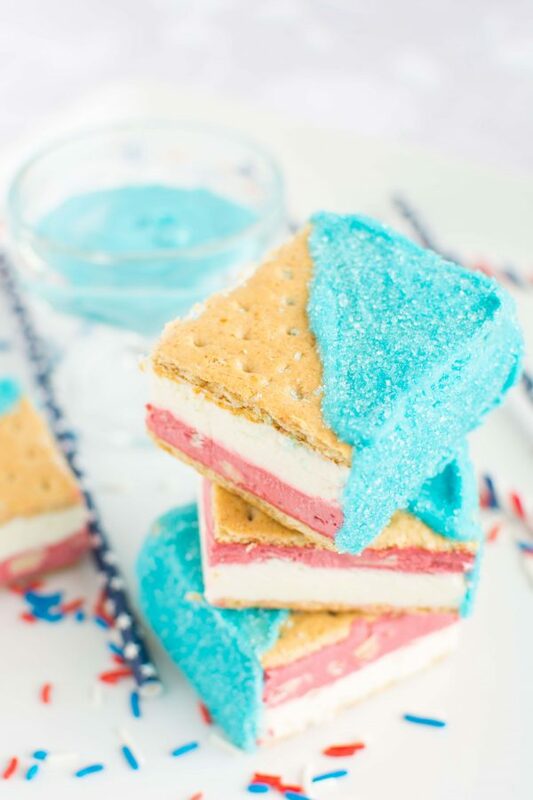 Wrap the plastic wrap over the ice cream sandwiches and freeze for at least 4 hours, preferably overnight. 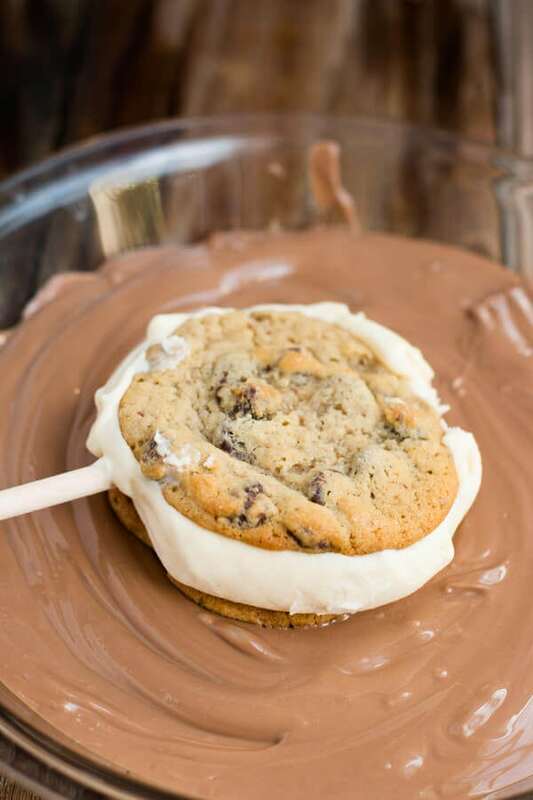 Once ice cream sandwiches have frozen solid, remove from the pan and unwrap the plastic wrap. Using a sharp, warm knife, cut the sandwiches along the graham cracker edges, making 15 squares and 5 small rectangles. Place sandwiches on a wax paper-lined baking sheet and return to the freezer to firm up for 20 minutes. 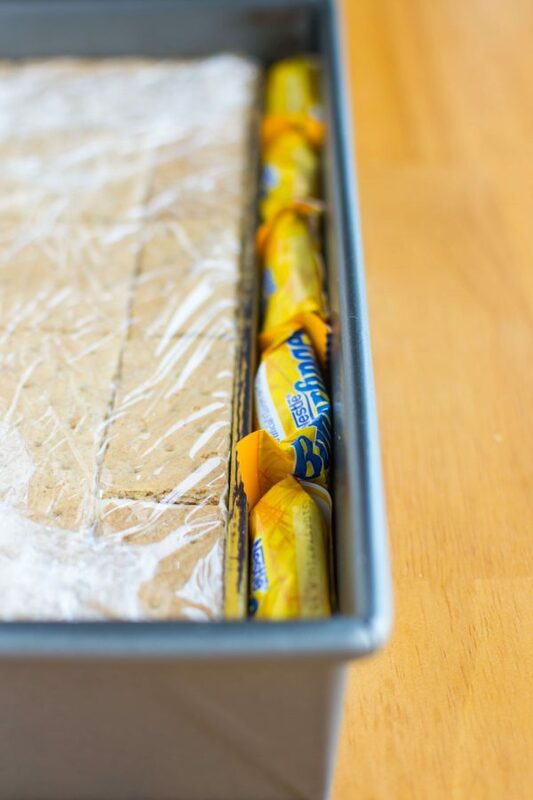 Prepare a second baking sheet by lining it with wax paper. 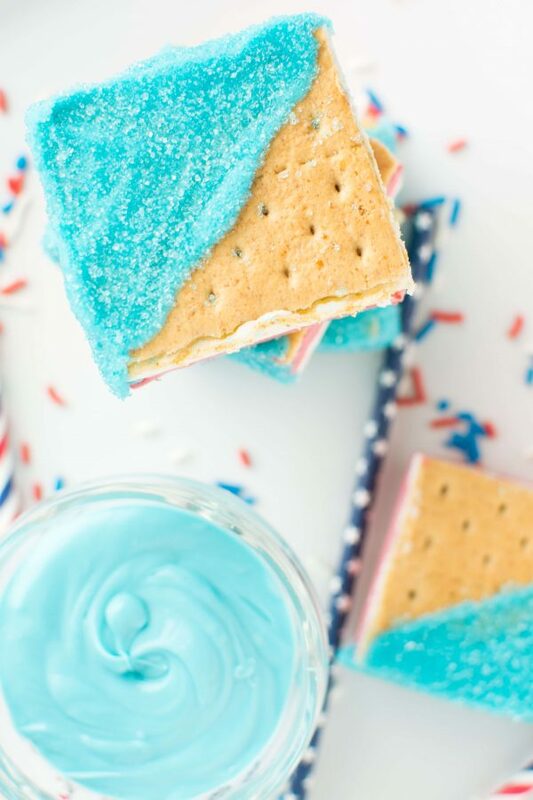 Melt the blue candy melts with the shortening in a microwave-safe bowl in the microwave until smooth. Pour the sprinkles onto a separate plate. Working quickly in batches of 3-4, dip sandwiches halfway into chocolate, then into the sprinkles, and onto the second baking sheet in the freezer. Repeat with the rest of the sandwiches. 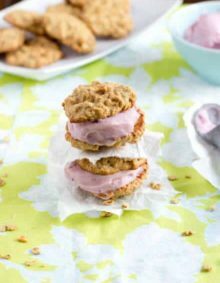 Once the chocolate has set, ice cream sandwiches can be individually-wrapped in plastic wrap and stored in the freezer for up to 2 months. 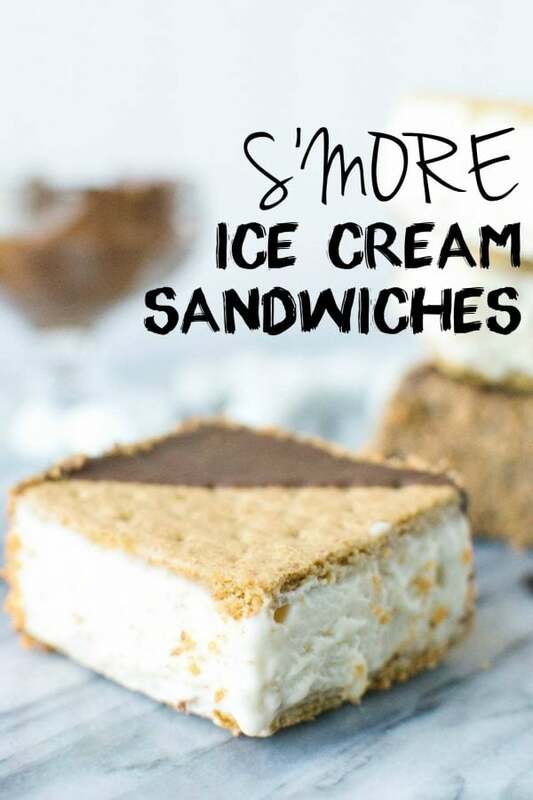 *The shortening is optional, but I find that it helps to thin out the chocolate a little, making it easier to dip the sandwiches more cleanly. *Makes 15 full sandwiches and 5 half sandwiches.